Vladimir Ilyich Ulyanov, better known as Lenin (April 22, 1870 – January 21, 1924) was a Russian revolutionary and the leader of the Bolshevik party. He was the first leader of the USSR and the Communist government that took over Russia in 1917. 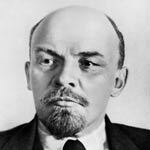 Lenin is also known as the creator of Leninism a version of Communism that he adapted for the Soviet Union. Lenin was born in the town of Simbirsk in the Russian Empire. His mother was a schoolteacher and his father was an education official. Lenin was an able student, learning Latin and Greek. In 1887, he was thrown out of Kazan State University because he protested against the Tsar who was the king of the Russian Empire. He continued to read books and study ideas by himself, and in 1891 he got a license to become a lawyer. In the same year that Lenin was expelled from University, his brother Alexander was hanged for his part in a bomb plot to kill Tsar Alexander III, and their sister Anna was sent to Tatarstan. This made Lenin furious, and he promised to get revenge for his brother’s death. Whilst studying law in St. Petersburg he learned about the writings of Karl Marx and Friedrich Engels, both radical Marxist philosophers from Germany. 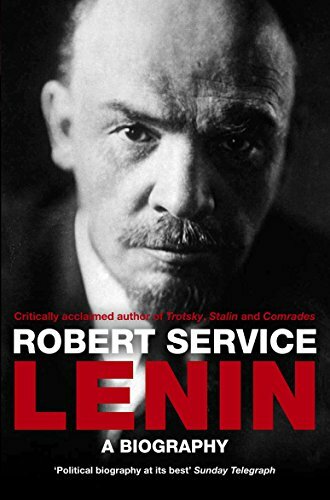 Lenin developed a lifelong philosophy of seeking to overthrow Capitalist society and replace it with a fairer Communist society. He saw existing Capitalist society as inherently unjust. For becoming involved and writing about Marxism, Lenin was arrested and sent to prison in Siberia. In July 1898, when he was still in Siberia, Lenin married Nadezhda Krupskaya. In 1899 he wrote a book called The Development of Capitalism in Russia”. In 1900, Lenin was set free from prison and allowed to go back home. He then travelled around Europe. He began to publish a Marxist newspaper called Iskra, the Russian word for “spark” or “lightning”. He also became an important member of the Russian Social Democratic Labour Party or RSDLP. In 1907 he travelled around Europe and visited many socialist meetings and events. During World War I, he lived in big European cities like London, Paris and Geneva. 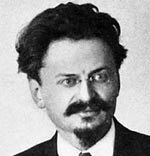 At the beginning of the war, he represented the Bolsheviks at the Second International which was formed of left-wing parties. However, the meeting was shut down when the disparate factions disagreed about whether to support or oppose the First World War. Lenin and the Bolsheviks were one of only a few groups who were against the war because of their Marxist ideas. In 1917, people started rumours that Lenin had received money from the Germans. That made him look bad because a lot of Russians had died fighting Germany in the war. The rumours were so bad he was afraid he could get arrested or even killed. He left Russia and went to Finland, a country right next to Russia, where he could hide and carry on with his work on Communism. After Tsar Nicholas II gave up his throne during the February Revolution, Germany hoped that they could persuade Russia to leave the war. The German government helped Lenin to secretly return to Russia, in the hope that Lenin would help end Russia’s involvement in the war. Lenin was still considered to be a very important Bolshevik leader, and he saw the great discontent of the population giving a unique opportunity for revolution. He wrote that he wanted a revolution by ordinary workers to overthrow the government that had replaced Nicholas. In October 1917, the Bolsheviks, led by Lenin and Trotsky, headed the Petrograd Soviet and other Soviets all over Russia in a revolution against Kerensky’s government, which was known as the October Revolution. The revolution was successful as the army was unwilling to turn on the people. Lenin announced that Russia was now a Communist country and by November, Lenin was chosen as its leader. Because Lenin wanted an end to World War One in Russia, he signed the Treaty of Brest-Litovsk with Germany in February 1918. While the treaty ended the war with Germany, Russia paid a high price in terms of lost land. But to Lenin ending the war was critical. The Russian treaty with Germany made the Allied powers, e.g. Great Britain and France displeased. Also, the great powers feared that if a Communist revolution could happen in Russia, it could happen elsewhere in Europe. Allied governments sent support to ‘White’ Russians – people loyal to the Tsar or Kerensky’s government. There was an on-going civil war, with the Bolsheviks having to fight across the country. Lenin made rules that as much food as possible was to be given to Communist soldiers in Russia’s new Red Army. This was a factor in winning the civil war, but, during this period, many ordinary many died of hunger or disease. After the war, Lenin brought in the New Economic Policy to try and make things better for the country. Some private enterprise was allowed, but not much. Businessmen, known as nepmen, could only own small industries, not factories. After a woman named Fanny Kaplan shot Lenin in 1918, he started having strokes. By May 1922, he was badly paralysed. After another stroke in March 1923, he could not speak or move. 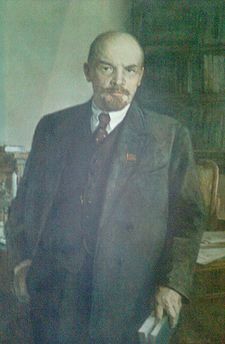 Lenin’s fourth stroke killed him in January 1924. Just before he died, Lenin had wanted to get rid of Stalin because he thought he was dangerous to the country and the government. The city of St. Petersburg had been renamed Petrograd by the Tsar in 1914, but was renamed Leningrad in memory of Lenin in 1924. Before Lenin died, he said he wished to be buried beside his mother. When he died, Stalin decided to let the people in Russia come and look at his body. Because so many people kept coming, they decided not to bury him and preserved his body instead. A building was built in Red Square, Moscow over the body so that people could see it. It is called the Lenin Mausoleum. Many Russians and tourists still go there to see his body today. Citation: Pettinger, Tejvan. “Biography of Lenin“, Oxford, www.biographyonline.net 23 August 2009. Updated 2 February 2018.